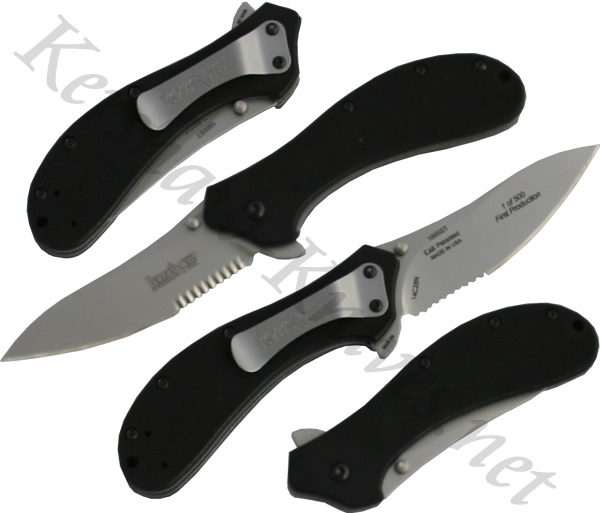 The Kershaw model 1665ST is the partially serrated version of the Kershaw Packrat knife. It has a 14C28N stainless steel blade with a handle that has G-10 overlays. The blade is assisted for fast opening, and is held in place by a liner lock in the handle. A reversible pocket clip is included that allows you to mount the knife tip-up or tip-down.